‘Tis the season for outdoor lounging. 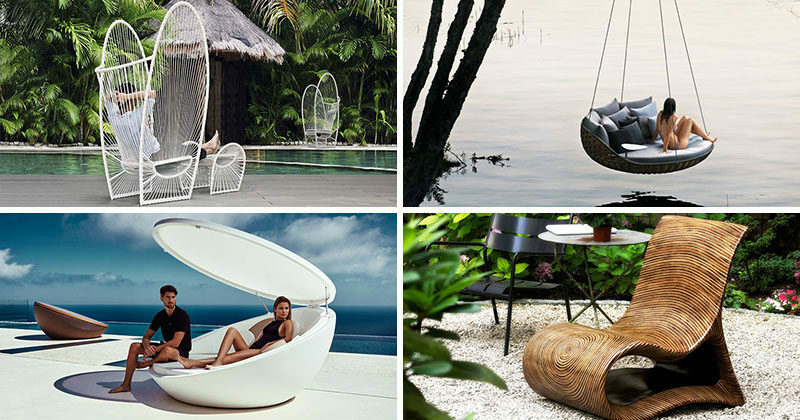 To help you lounge in style, we’ve compiled a list of 12 of the most beautiful, sculptural and inspired outdoor seating options. 1. Pretend you’re a pearl while tucked into this oyster shell inspired lounge. 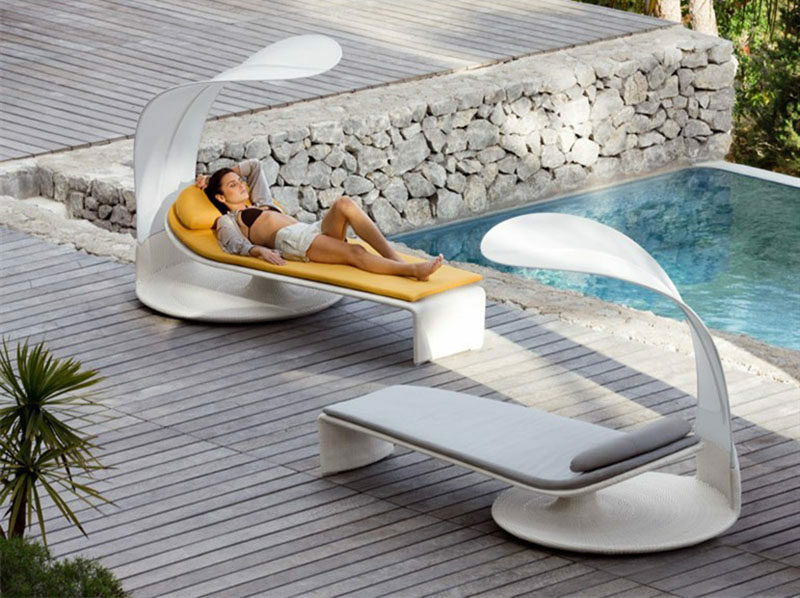 FAZ daybed with parasol designed by Ramon Esteve for Vondom. 2. 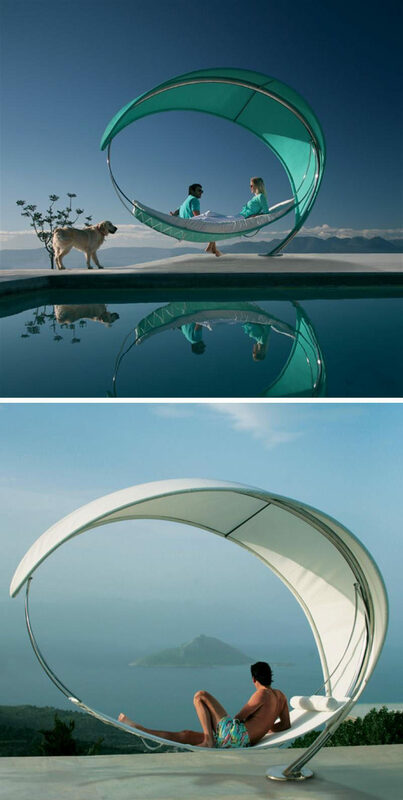 Lounging on this minimalist outdoor canopy daybed will make you feel like you’re lounging in a bed at a spa or hotel. 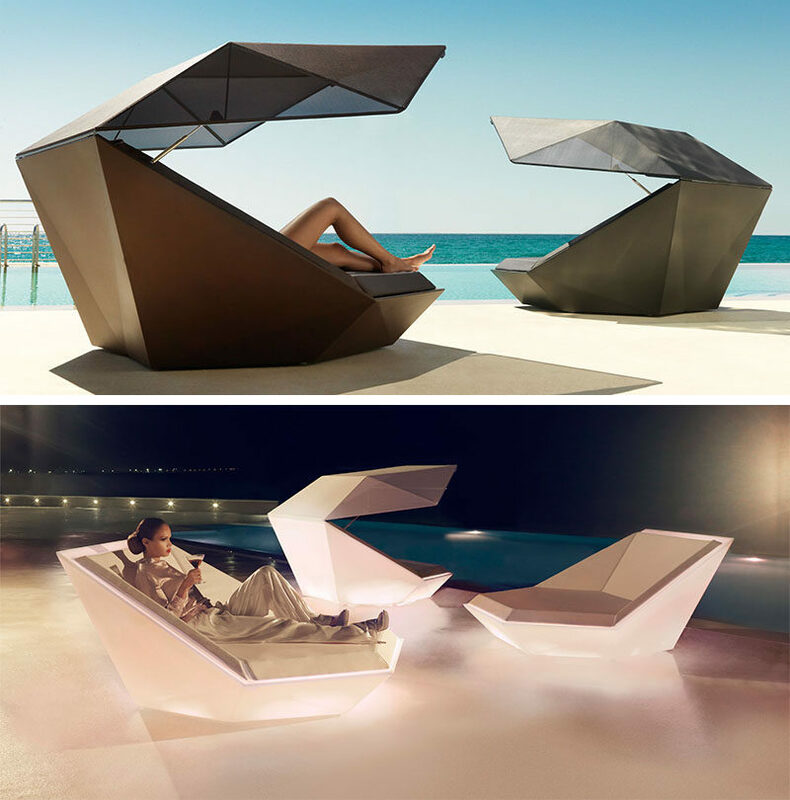 VELA Canopy Daybed designed by Ramon Esteve for Vondom. 3. Inspired by a shell, this daybed has a swivel feature so you can spin around and see everything around you. The lid also helps to provide shade on a hot day. 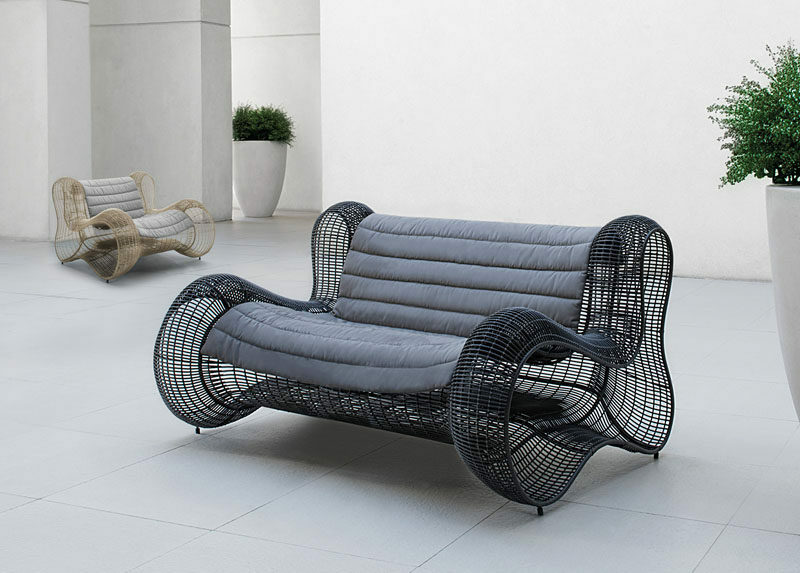 ULM daybed designed by Ramon Esteve for Vondom. 4. Hang this lounger on a strong branch, fill it with books, pillows, and treats, and cozy up to enjoy the outdoors from the comfort of your own little nest. NESTREST designed by Daniel Pouzet & Fred Frety for DEDON. 5. 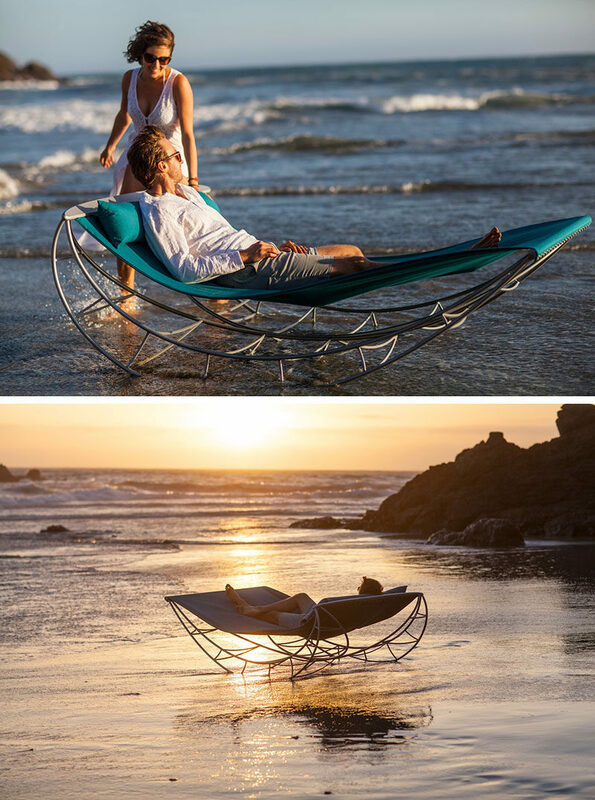 Similarly to the NESTREST, this large, hanging lounger, encourages you to enjoy nature while gently swaying along with the breeze. 6. Nylon cords wrapped around a powder-coated steel frame give the PAPILLON chair a unique look and provide ultimate comfort. 7. 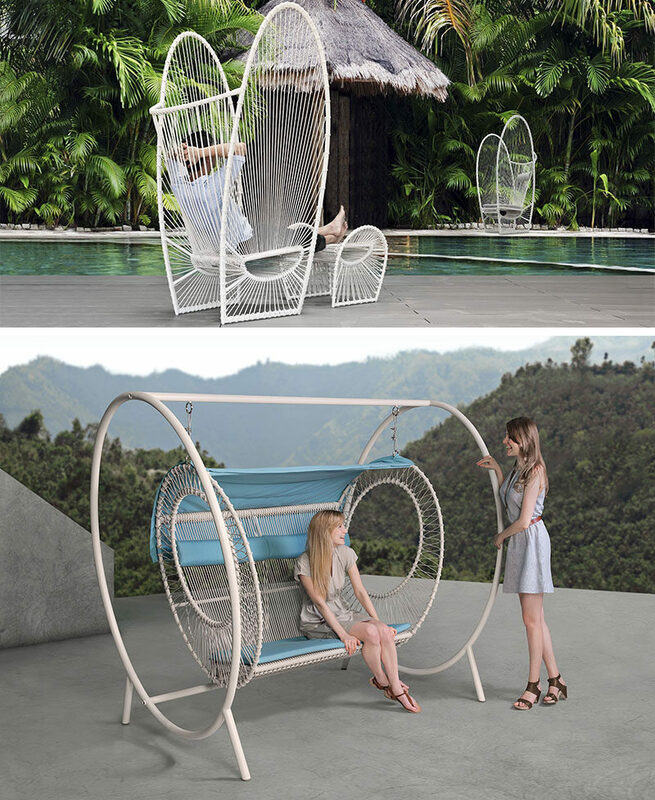 Inspired by the contours of the female form, this chair is made of strands of Abaca rope that have been hand-tied with more than 3000 knots over a hand-sculpted steel frame. 8. Made from certified massage balls and coated with a durable synthetic, water-repellent fabric, this outdoor chair is designed to help you truly relax as you gently sway back and forth. 9. Rock yourself into relaxation and rejuvenation on this rocking chair by Sveglio. VOLO chair by Sveglio. Photography by Michelle Magdalena Maddox. 10. 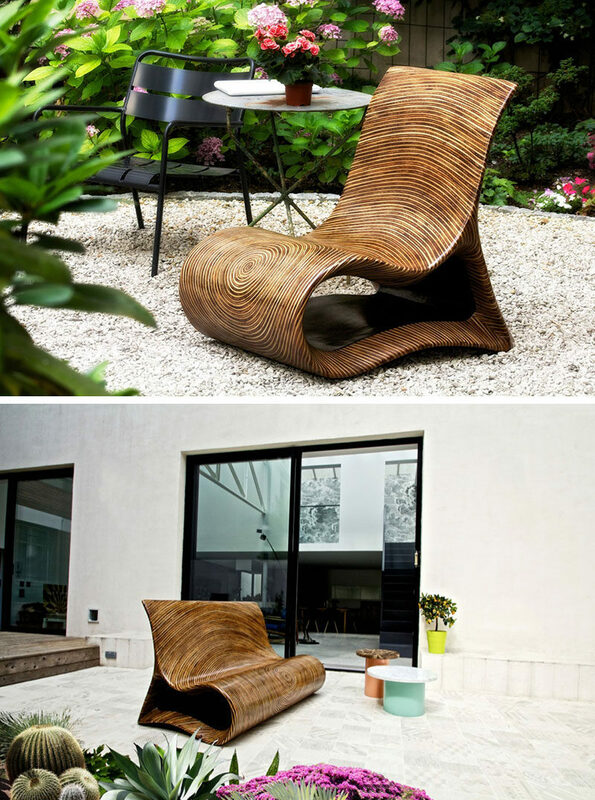 An intricate wood lamination technique used on coco and rattan is what gives this unique chair its uncommon shape and form. The resin finish makes it suitable for both indoor and outdoor enjoyment. 11. 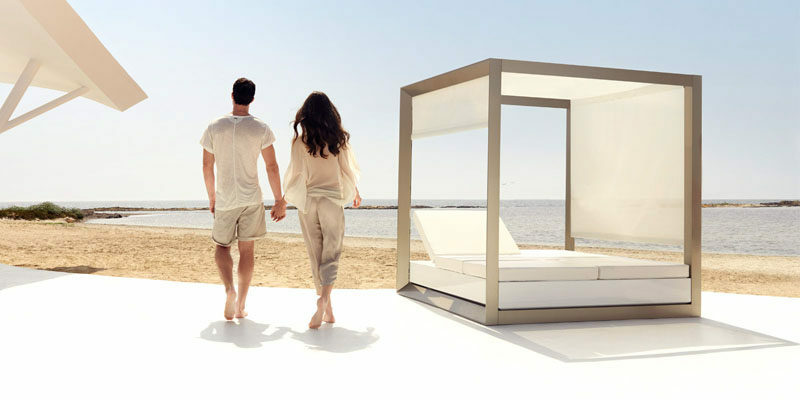 Drift off to sleep in this sun lounge with a shade cover that can swivel, allowing you enhance your sun-worshiping moments. 12. 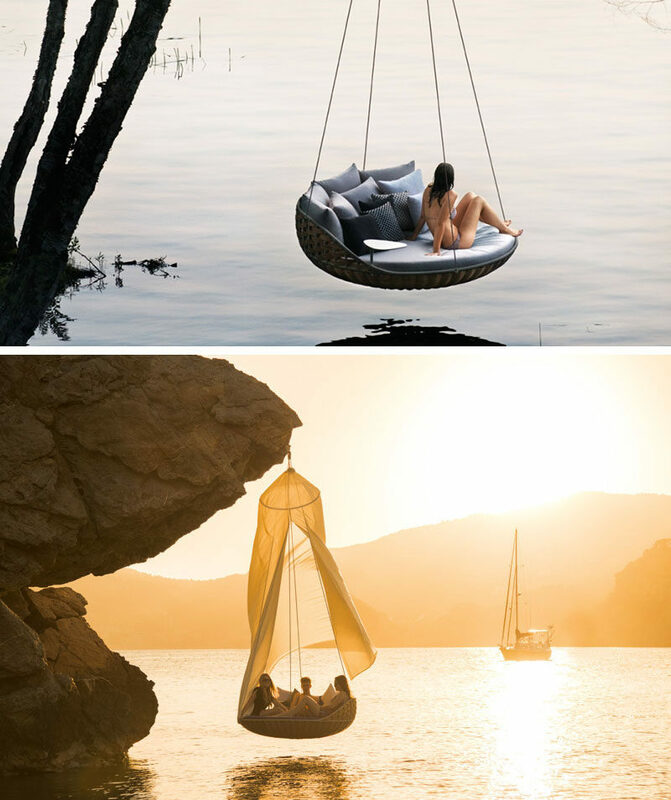 Slowly rock in the wind and enjoy the view with this standalone hammock that looks more like a piece or art than a chair. 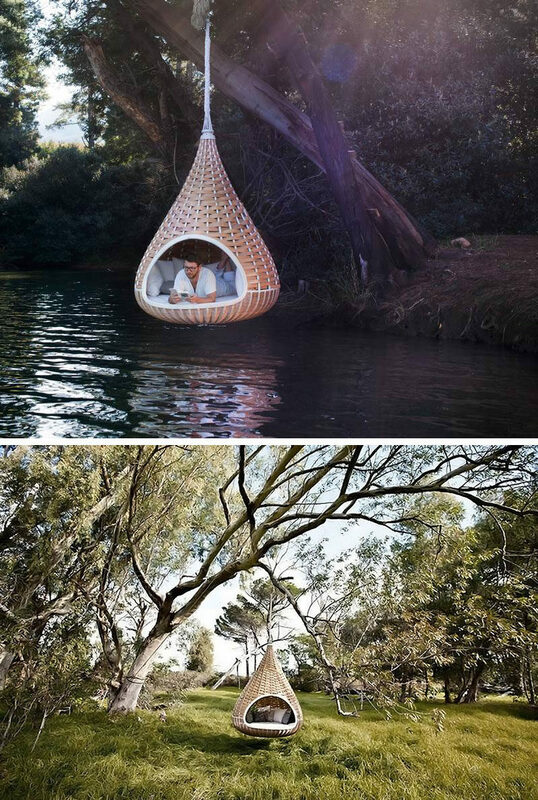 The WAVE Hammock by Erik Nyberg and Gustav Ström for Royal Botania.